What happened to Imam Hussain (as) is of a tremendous significance of what was established for Islam, what was established for humanity, what was established for ourselves. So that when we take this path and we pick and chose what we want to do and not to do, we do not place its importance. For us the importance of the Sunnah and the way of Sayyidina Muhammad ﷺ , the real way, the real love of Sayyidina Muhammad ﷺ was held within the hands of the Sahabi (his holy companions), held in the hands of Imam ‘Ali (as), held in the hands of Imam Hassan (as)), held within the hands of Imam Hussain (as)). That their sacrifice was an example of how shayateen want to extinguish the light of Prophet ﷺ , the love of Sayyidina Muhammad ﷺ . They want to keep laa ilaha ilAllah, (there is no deity but Allah). They want to keep the understanding of what they believe of Holy Qur’an but they cut out Muhammadun Rasulullah ﷺ (Muhammad ﷺ is the Messenger of Allah). 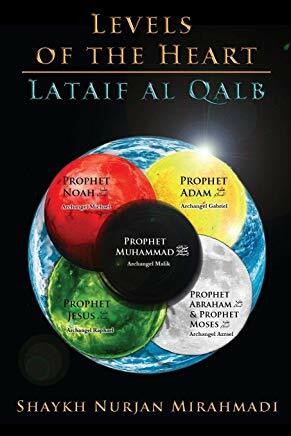 In the Last Days will come Ahlul Qur’an where they discredit and come against every Hadith of Prophet ﷺ because this is from that hizb, the people who were jealous of Prophet ﷺ , jealous of the Light of Prophet ﷺ , the family of Prophet ﷺ. Until this day we suffer the consequence of this character of people. Ahlul Bayt (holy family of prophet Muhammad ﷺ) set a tremendous example, a tremendous level of sacrifice. 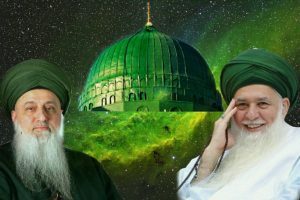 Every time you wear your turban or carry anything from the Sunnah of Sayyidina Muhammad ﷺ, it is because of these beloved Sahabi and beloved Ahlul Bayt an-Nabi ﷺ. From the first two or three centuries, they laid the foundation. They went through tremendous suffering to keep the love of Prophet ﷺ. We come and pick and chose and say, “No, you know I won’t do it today, and I won’t wear it today and it is not really important today.” No, there are some people who suffered a tremendous death for us to be able to have that ability. And they didn’t have a choice; they laid their lives and the lives of their companions and their children. That all the male children, seventy-two of them all together, were slaughtered in a desert. They were slaughtered in a way that you would not sacrifice a lamb or a chicken or an animal in the way that they were slaughtered in the desert. Had you lived in that time would you have chosen to support them? Many people say, “Yes, I would have been there fiercely supporting.” But that is a lie because we live as Ahlul Bayt on this Earth and we know exactly how people treat the family of Prophet ﷺ. They treat them with hasad (jealousy), they treat them with enmity and envy. They treat them so bad that they call them, they use them, abuse them, and then they throw them. If this is for the small Ahlul Bayt, imagine what they were doing to the Imams and the Light of Sayyidina Muhammad ﷺ ? All those grandchildren were in the resemblance of Sayyidina Muhammad ﷺ. They carried the fresh Light in the lineage of his grandchildren and how much they were abused? 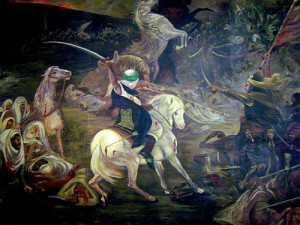 Today everywhere is karbala and everyday is Ashura. So when you think of something far off, then it is not coming into your heart. When you read the news and watch what is happening there is an uprise coming. You see a person on television worst than Hitler, and we don’t have to say the name. That person will call people out onto the street and slaughter their families, everyone named Ali, Hassan, Hussain and Fatima will be killed. They have a movement coming and these are all from the Hadith of Prophet ﷺ. The rise of Sufyani and the Dajjal would come against everything that had a Light and what has a Light are the lovers of Sayyidina Muhammad ﷺ . So we are not far away, we are living right now in a time where they will be coming to kill everyone. So when you think about that, then look to your family and look to all your loved ones and think about what was the ahlul bayt’s thought at that time? What were they thinking when they were put in a tent and they were going to be slaughtered? We said before and it is very important, you have to think as a man, as a male in your family, what would you have chosen? Would you have chosen when someone is outside saying that, “I want all of them, I am going to kill all your family?” Do you go first and say, “Yaa Rabbi let me just die so I don’t have to see what is about to happen?” There was no permission for Imam Hussain (as) to die first, and he had to witness the death of all the males, starting from the large men. They would go out, one (at a time) and there were 3,000 (enemy) who slaughtered them, killed them, shot them with arrows, chopped them into pieces. And Imam Hussain (as) would run out and gather their bodies and bring their body back into the tent. Always he is thinking that maybe with this one their hearts would change, that maybe they killed one and they would stop. They are not realizing that this is ahul Muhammad ﷺ? That this is the one whom you are calling in the Azan. This is the family of the one whom you claim to love. This is the family of whom you claim to love and support. And you close your masjids from them? You don’t allow them access into your majlis and associations? These are Yazeed’s, they don’t understand what they are doing and what they did to our jadd (progeny). What they do today and they do to all the Ahlul Bayt ‘Ulema (scholars) all over the world, what they do to them. Jealousy is what caused Karbalah, saying, “Why are people attracted to you when we want them to come to our new capital? As long as you are on this Earth people won’t come to us.” and they began to slaughter the family of Prophet ﷺ . So then you think when you are sitting at home that I am living at a time where tremendous death is coming, tremendous calamity is coming, what do you do? When you sit there and know they are going to come and rip apart my whole family. Do I witness each one to be killed and what am I supposed to do? Pray for patience, patience, pick up the body parts, put them aside. At the end angel Jibreel came, “Now it is your time to lay the foundation for what Allah (AJ) wants to set as an example. ” Sayyid ash-Shuhada means he is a Master of all those who see and witness. And the only way to witness through physicality and spirituality is that the death of the body. That you are the Master of those who see, and your yaqeen (certainty) and firasat (heavenly vision), no one will see what you can see. As a result Allah (AJ) gave Sayyidina Hussain (as) the ijazat (authority) that anybody to see in their heart, you have to sign for them. All Awliya have to take from Imam ‘Ali (as), Asadullah al-Ghalib (the Victorious Lion) he is the custodian, the caretaker of that Door. There is not a saint alive that doesn’t drink from the hand of Imam ‘Ali (as). 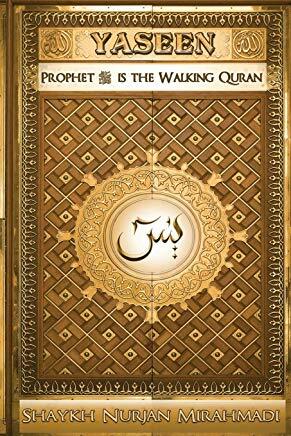 And if anyone talks bad against Sayyidina ‘Ali (as) it is a way for Allah to show you: that one is not a wali (saint). That one has nothing to do with wilayat (sainthood). If anyone talks against Imam ‘Ali (as) because they are taking from the hand of Imam Ali (as). That is why they have an expression: you can’t bite the hand that feeds you. Ahlul Basirah (people of spiritual vision) they see the hand, they are kissing the hand, they are drinking from their hands. In their hearts, they constantly asking for more, `ilman mazeed, that, “Grant me more. Grant me close proximity to you”. If in their sleep they have a dream they feel they are going to die and they surely want to join them and they don’t want to be here. It means then they are taking from these realities. Imam Hussain has to sign that your ikhlas (sincerity) and your fight is sincere. Your fight against yourself and every bad character is sincere, we are signing for you to become from the Ahlul Basirah and the degree in which you see is in the hands of Imam Hussain (as). Salaamun qawlan mirrabbir Raheem. Ya Al Hamid bi Haqqi Muhammad ﷺ , Ya Al ‘Ali bi Haqqi ‘Ali (as) , Ya Al Khaliq bi Haqqi Fatima az Zahra (as),Ya Al Rahman bi Haqqi Imam Hassan (as), Ya al Raheem bi Haqqi Imam Hussain (as) . So when you are say, “Bismillah ar-Rahmaan ar-Raheem,” that baa ismi is bi haqqi Imam ‘Ali (as). Yaa ‘Aliyyu bi haqqi ‘Ali. 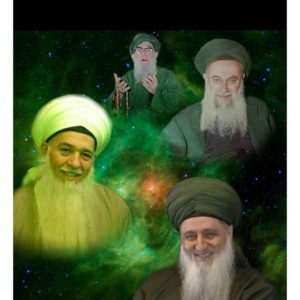 Yaa Khaliq bi haqqi Fatima az-Zahra. 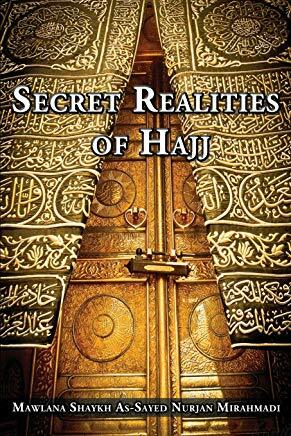 That by the reality of Allah (AJ) and what separates Allah (AJ) from Creation is Siffat al-Khaliq. That what I hold only for Myself is Siffat al-Khaliq of the Creator. And I give that reality and that secret to Sayyidatina Fatima az-Zahra (as). Every womb of every animal of every creature of every insaan (human being) of every jinn, whatever brings Creation into existence is through a secret and that secret is given to Prophet ﷺ and Prophet ﷺ is dressing it to Sayyidatina Fatima az-Zahra (as). 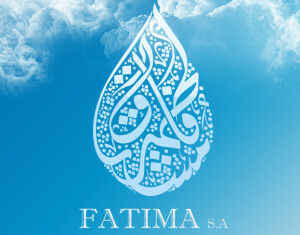 There is not a womb that can bring Creation that is not under the secret of Sayyidatina Fatima az-Zahra. That is how Allah (AJ) makes their souls to be noble. 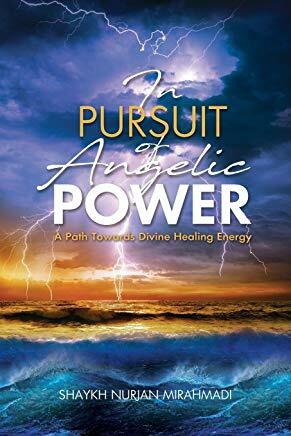 From Divinely Presence a Power, Qudrah and secret comes to this Earth through doors, through souls and realities. 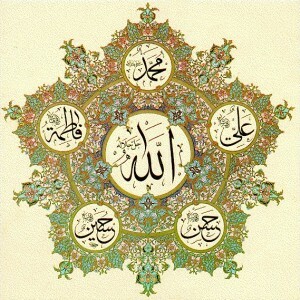 It means that Sayyidatina Fatima az-Zahra yaa Khaliq bi haqqi Sayyidatina Fatima az-Zahra. It means every Creation is coming into existence yaa Rabbi with the secret of the womb that you dressed upon Sayyidatina Fatima az-Zahra (as). Dress us, yaa Batul, yaa Zahra, bi nazarakum, look at us, grant us, and what calamity you went through! They sit here and say, “Shaykh my uncle died,” your uncle was 80 or 90 year old and you are sad for that? What about 72 of the family (of Prophet) who died for no reason, the grandchildren who were upon the shoulder of Prophet ﷺ ? He was kissing their lips and their necks, and all subsequent younger youth who came into existence and were born, were slaughtered. And you can’t find a means in which to cry for them, to think of the tragedy and calamity that came upon this family? It awaits you too because this is your inheritance. A day comes when they slaughter you and they don’t think a thing about it and you can join them at their table and say, “This is the way. We knew that when we entered this Earth we would be betrayed, because we are not the people of this Earth, we are the people of Paradise.” But that table and that majestic reality has a price; there is a price to pay. That price is this dunya, all its temporary pleasures, what awaits is suffering, what awaits is calamity. Through your heart you begin to witness them and see their fields and see their difficulties. Then you begin to understand and your heart begins to open up that they suffered a lot, they went through tremendous difficulties, the choices they had to make are unimaginable. To hold their children, and they were young, after seeing all their uncle’s dying, the older ones dying, they were young ones coming saying, “Let me take my sword because I also want to also join that table. I will go into the field.” They would say, “Yaa baba you can’t even carry a sword.” “It doesn’t matter, I will drag it,” and they would drag and in an instant again the bullets and the knives came and they were slaughtered into pieces. 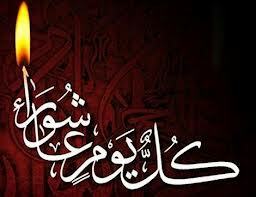 Until the last one was the infant child and Imam Hussain asked, “You killed all the men of aale Muhammad ﷺ at least leave the child,” and as Imam Hussain (as)was speaking they shot an arrow into the throat of the child and blood was gushing everywhere. You don’t talk like this, it seems that jahl ignorant people don’t understand what they went through. What did they suffer to see something like that? What was given to them as a destiny to see something like that? and then you pick and chose, “O baba I am not going to come tonight, I don’t feel like coming tonight, I don’t want to fast tonight.” Are you crazy? Do you understand what type of difficulties these souls went through? You can’t fast six, seven or ten hours and go through a little bit of difficulty? With the type of suffering they suffered through, Allah help us all and by means of their difficulty and by means of their sacrifice that their nazar be upon us. Pray yaa Rabbi my jadd (progeny) and people who are coming for that love, are weak yaa Rabbi. If You grant us these blessings, let us dress them and bless them and forgive them their shortcomings because their hisaab are, (Ahlul Bayt’s) blessings are huge. Yaa Khaliq bi haqqi Fatima az-Zahra, yaa Rahmaan bi haqqi Imam al-Hassan. Ya Al Hamid bi Haqqi Muhammad ﷺ , Ya Al ‘Ali bi Haqqi ‘Ali (as) , Ya Al Khaliq bi Haqqi Fatima az Zahra (as), Ya Al Rahman bi Haqqi Imam Hassan (as), Ya al Raheem bi Haqqi Imam Hussain (as) . That every siffat of these material world under the Siffat ar-Rahmaan bi haqqi Imam al-Hassan. Yaa Raheem bi haqqi Imam Hussain. Sayyid ash-Shuhada and the realities of every Paradise realities is held within the reality of Imam Hussain. We pray that Allah (AJ) forgives us our wrong doing and bless us from their lights, bless us from their lights, and keep us in their company because we are coming through love not through our action. We don’t have any action that is going to impress to them (as), but through love that they have a mercy and pity for us. Yaa Rabbi ana abduka ajiz, wa daeef, wa miskeen, wa zhaalim, wa jahl. Yaa Rabbi all I have is love in my heart. So read a little bit about their lives, cry a little bit for their lives and that tear should extinguish all our difficult. With our ignorance, Yaa Rabbi with that tear take away any fire. Imagine that you enter into your grave and there is a difficulty, Allah is not pleased with your character but the angels are going to come, “Yaa Rabbi before this punishment on this slave, they cried for Your Ahlul Bayt, they cried for Sayyidina Muhammad ﷺ , they cried for Ahlul Bayt, they cried for Ashaab an-Nabi ﷺ ,” immediately it stops the punishment on that servant. That tear becomes an ocean that extinguishes all fire and difficulty but a heart that is devoid of mercy and can’t shed a tear for anyone but itself, what can you do with that heart? Subhaana rabbika rabbil izzati `amma yasifoon wa salaamun `alal mursaleen walhamdulillahi rabbil `aalameen. Bi sirri Muhammad al-Mustafa wa bi sirri surat al-Fatiha.